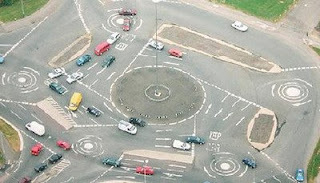 If you can work out what goes on at this roundabout then you are better than me. Thats one big roundabout and 5 mini roundabouts. Crazy.